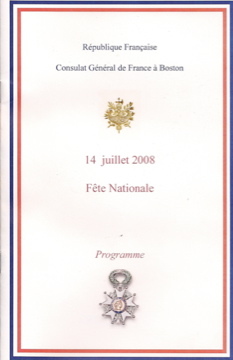 Our invitation to the “fete du 14 juillet” or “Bastille Day”. Both the Consul of France in Boston François Gauthier and Massachusetts Governor Deval Patrick were present. The full text of the speech made by the Consul can be found here.